A walk-up window-service delight. 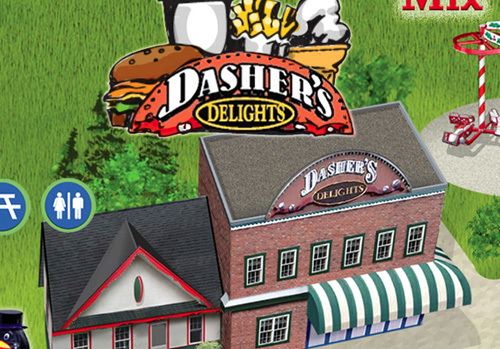 Dasher’s is the place for delicious snacks including cheese sticks and fried dough. There are full meals and plates featuring burgers, fries, sausage sandwiches, chicken fingers, and hot dogs. Kid’s meals are served here too! Soft-serve ice cream is one of Dasher’s specialties.